The iPhone 7 Plus dramatically improves the most important aspects of the iPhone experience. 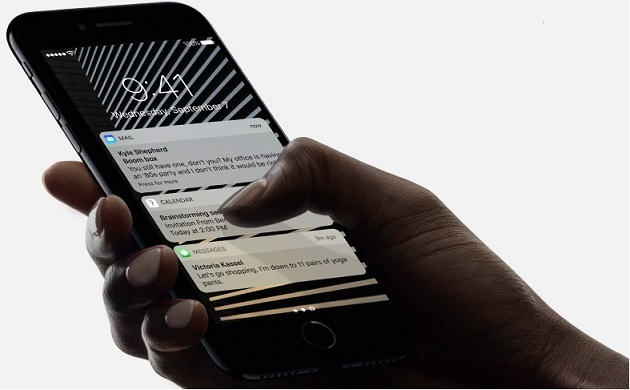 The brightest, most colorful iPhone display. Splash and water resistance and it looks every bit as powerful as it is iPhone 7 Plus is supercharged by the most powerful chip ever in a smartphone it’s not just faster than any previous iPhone — it’s also more efficient. The 12MP camera is now improved with a larger f/1.8 aperture and front camera that is upgraded to 7MP with an optical image stabilization that will surely take away your struggle to get the best selfies. The iPhone 7 Plus 5.5inch Retina HD display uses the same color space as the digital cinema industry, so what you see will be noticeably more brilliant and vibrant. Because we all deserve a bit more brightness in our day. With a new wide color gamut, the Retina HD display is able to deliver cinema‑standard colors — and the best color management in the smartphone industry. . So whether you’re checking out photos of that perfect dress or Live Photos you took in the tropics, the colors will be so accurate, it will look like you’re there. iPhone 7 Plus doesn’t have just one entirely new camera system — it has two. 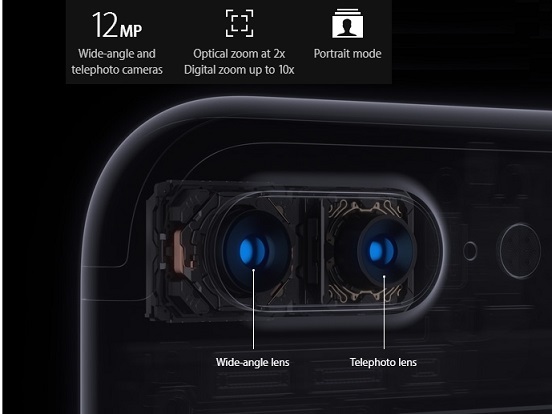 The same 12MP wide-angle camera that’s on iPhone 7 works with a 12MP telephoto camera that can get even closer. That means you can get higher-quality zoom from farther away. And with an all-new Portrait mode, portrait shots will look better than ever.